In order to reduce the effect of exposure to the electromagnetic fields a new legislation was finally introduced in Europe : the European directive 2004/40/CE, then modified by directive 2008/46/CE, was introduced in 2013. These regulations fix the limit values of electromagnetic fields generated by industrial machines as the induction melting plants and the employer is obliged by national law to apply these directives. 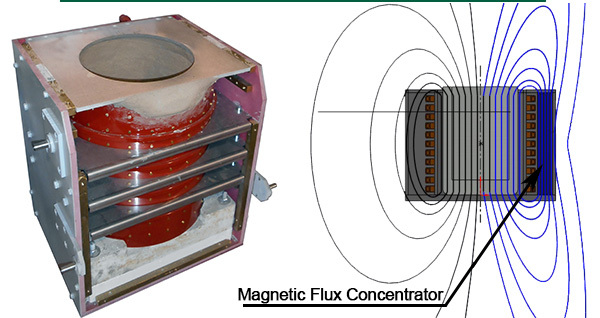 With reference to the above mandatory guidelines, the Italimpianti Orafi has equipped its induction furnaces with particular systems for the concentration of the scattered electromagnetic flux through a special metal screen with the purpose of changing the spatial configuration of the electromagnetic field and increase the value of the same inside the crucible. Example of application for a 150 kW induction furnace during the melting of precious metal at full power. 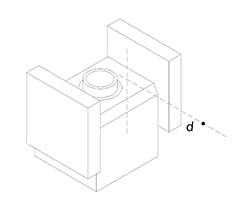 It means a reduction of almost 10 times of the surface area over the exposure limits. In practice the presence of flux concentrators makes all the space around the coil accessible to the operator while in the case of the system not equipped with such devices makes it in fact not operational.